The bookshop is at once an art project, a real bookshop, and a way to engage in conversations and generate invisible threads of communication between the artists, their collaborators and the audience. The bookshop gathers in the foyer of the theatre a selection of books – all sorts of books – proposed by the artists of our fall season and their collaborators (artists and designers, performers, technicians, dramaturges, producers…). They have picked out one or two book(s) that are important to them and to which they have a personal relationship. The book may have informed their work, inspired them, changed their life, moved them… Each book contains a recommendation that everyone can read and a sealed personal letter, which can be opened only by the person who buys the book. Only one copy of each book is available. The idea is that each book is unique and creates a particular conversation between the artist and the audience member who buys it. The selling price is the regular price of the book. A list of all the books, including who recommended them and who bought them, will be available for consultation at the bookshop – a memory of all the material and immaterial conversations that happened at the bookshop. 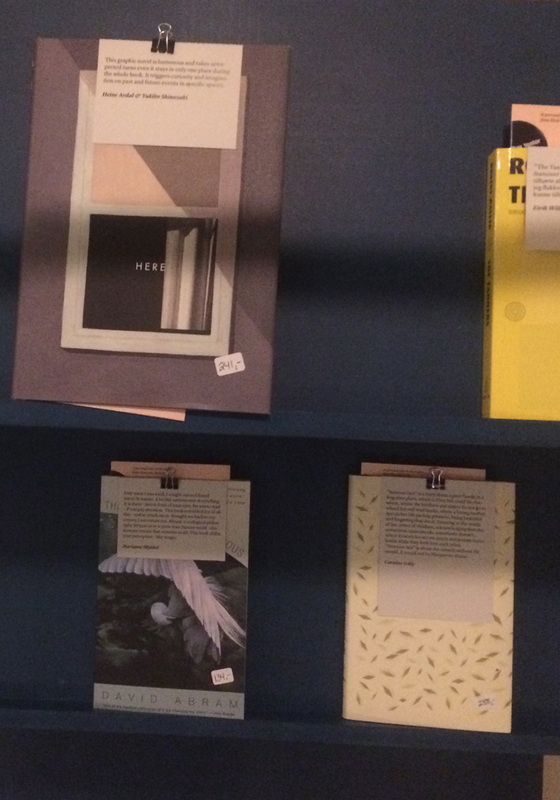 The bookshop is a project initiated by Tormod Carlsen and will run until December 2018.